While there will be a short bonus episode that will be released in early 2018, “Hell is Empty” is the third main episode of Life is Strange: Before the Storm that marks the season’s end, and finishing it was extremely bittersweet. After falling deeply in love with the first season of Life is Strange and finishing it with utter disappointment over its endings, I was hesitant about Before the Storm, to say the least; aside from various concerns, a prequel simply felt unnecessary. But from its very first moments, Before the Storm has been stellar even with its shortcomings, justifying its existence through its sheer quality. Despite how this finale suffers from some of the same issues that the first season’s finale had, it manages to be emotionally resonant and offer a satisfying conclusion. Life is Strange has always been more than the sum of its parts, and despite its flaws, this final episode of Before the Storm is no exception. “Hell is Empty” starts off right after the ending of the last episode and focuses on how the illusion of the Amber family has been shattered. Lies come forward, truths are revealed, and Rachel’s world is transformed in one night as she learns about the reality of her seemingly perfect family. It’s the most significant episode yet in terms of character development for Rachel, which makes one wonder as to why she doesn’t get as much screen time in this finale as she did in the first two episodes. It’s unfortunate given that Rachel is an extremely compelling character. I’ve found myself disagreeing with many of her actions, but nonetheless understanding her and being drawn to her. A large reason for Before the Storm’s existence is to provide layers to her character, so it feels odd that the finale’s second half barely shows her. There are other questionable choices in this episode, as well. The finale-- and the series as a whole -- could have much better pacing. This final episode lasts around two and a half hours; not only is this the shortest episode, but also after how graciously long the second episode was, the shorter length of this one is all the more clear. Before the Storm has had pacing issues that could have been resolved with more episodes, but since Before the Storm was planned to consist of three episodes from the start, I only wish that the finale was given more room to breathe so that the second half would’ve felt less rushed. The first season of Life is Strange also had a final episode that suffered from feeling too rushed, so it’s a bit upsetting that Before the Storm also suffers from the same issue. It’s not the only issue that both finales share, either. This episode also fails to properly conclude some loose ends. To be specific, it suffers from the same issue the first season did of throwing a natural disaster into the plot in ways that ultimately work against the narrative. The wildfire that has been central to the story is utilized to give a sense of urgency, but it feels as if the team didn’t know what to do with it. It’s simply dropped with no follow-up, and I have to wonder why it was introduced at all if the finale barely addresses it in more than a passing mention that feels extremely odd and that you can easily miss. Additionally, despite the drastically raised stakes in this episode, it doesn’t feel like the Backtalk mechanic is used to its maximum potential. I criticized the first episode of Before the Storm for utilizing Backtalk in superficial ways. I was pleased to see this addressed in the second episode, in which the mechanic was implemented more responsibly, appearing less frequently in conversations of little consequence and more in moments that were crucial to the plot. However, “Hell is Empty” barely acknowledges the existence of the mechanic, treating it almost as an afterthought. Two major scenes could have drastically benefitted from the inclusion of Backtalk so that they would’ve felt more interactive and thus personal, and less like a movie playing out in front of you. There are also two moments that, although executed well, lose impact because of the nature of Before the Storm as a prequel. They don’t have as much emotional weight because you already know what will happen. The threat to a main character’s life doesn’t elicit much fear because you know they’ll survive it. The possible emotional resolution with David feels rewarding but holds little weight because you know how things will be in a few years by the time Max returns. Both scenes are well-crafted, but it’s a wonder as to why time was spent on these scenes rather than finding other ways to go forward with the plot. And yet, despite all these issues, I can’t help but be satisfied with this finale. Before the Storm shares not just some of the first season’s flaws, but also some of its best aspects -- even improving upon them. The storytelling techniques Before the Storm uses are incredible. The use of camera angles, visuals, music, imagery, and colors has been spectacular in every episode thus far, but it feels like all these things go up a notch in this episode. The dialogue and voice acting are surely the best yet, with some lines doing that special thing where they make your heart hurt a little. Some scenes feel poetic in their execution, and I can't help but appreciate the small but brilliant instances in which the team's creativity and love for this series shine through. The narrative and larger themes at play of addiction, family, truth, and love are interwoven in beautiful ways that have big emotional payoffs. As a result, the ending choice of this season is one that I struggled with, and I think it’s one that offers plenty of discussion with no right or wrong answer. The finale feels earned, thematically fitting, and doesn't make you feel like your choices have been thrown out the window. Before the Storm tackles its themes with grace and provides an amazing exploration of female friendships and relationships with an emotional depth that is rare to come across. Many moments are heart-wrenching and in line with the primary thing that made the original so widely beloved: the emotional, real, and relatable experiences of its characters. Just like the original, it has its good share of flaws; but also just like the original, there are moments and characters so human that you can’t help but connect with them on a deeply personal level. Just like real people, Before the Storm’s final episode is a flawed but at times beautiful thing. 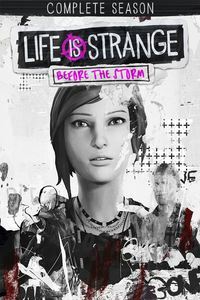 Overall, even though I have a stronger personal connection to the first season, I dare say Before the Storm is the better of the two and it’s absolutely worth playing.